California boasts one of the most diverse and spectacular coastlines in the world. Visitors and residents alike are drawn to its sandy beaches, tide pools, dramatic coastal cliffs, densely forested coastal mountains, and large bays. The variety and breath-taking beauty of its coast are a critical component of California’s economy and quality of life for its citizens. The California Coastal Trail (CCT) is one of the pre-eminent trails in our nation and was designated as federal Millennium Legacy Trail in 1999. 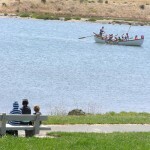 It is used for recreation as well as alternative transportation and is increasingly seen as an economic asset to local communities as a tourist attraction and community amenity. The CCT takes a variety of forms designed to fit the surrounding environment, level of use, and available land rights. Whenever possible, the trail is designed to accommodate hiking, biking and equestrian use and be fully accessible. To achieve this, in many areas the trail consists of a braided network of trails. The Coastal Trail will enable Californians to enjoy our coastal treasures and will attract visitors from around the world. 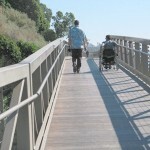 Read our Coastal Trail brochure and the Completing the California Coastal Trail report, which provides a strategic blueprint for a recreational facility that will have lasting value for California. 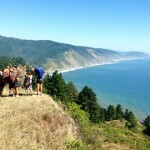 OpenRoad with Doug McConnell recently featured the Coastal Conservancy talking about the Coastal Trail, as well as a section of the trail high above the Pacific at Devils Slide in San Mateo County. Today, roughly 60% of the CCT is complete, and the Coastal Conservancy has been tasked by the legislature to help complete it. The Conservancy pursues this mandate in part by awarding grants to public agencies and nonprofit organizations to acquire land rights, and to develop, operate, or manage lands for public access to and along the coast. 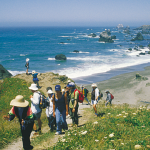 In addition, the Coastal Conservancy works with the California Coastal Trail Association (CCTA) and other state agencies including the Coastal Commission and State Parks to coordinate development of the CCT. Despite the fact that over 60% of the CCT already exists, many Californians and visitors are not familiar with the great opportunities, sometimes even in their own back yards, to enjoy the beach, go for a hike, or experience a tide pool. To address this, the State Coastal Conservancy, California Coastal Commission, and the CCTA have teamed up to develop a mobile web application to help visitors explore the California Coast. The web app will help people find segments of the CCT, beaches and other coastal recreation points. The app will include site specific maps, trail descriptions, and lists of amenities that users will be able to search based on their interests and needs. The tool will also be designed to provide site specific interpretive information on topics such as native plants and animals, local history and culture, and geology.